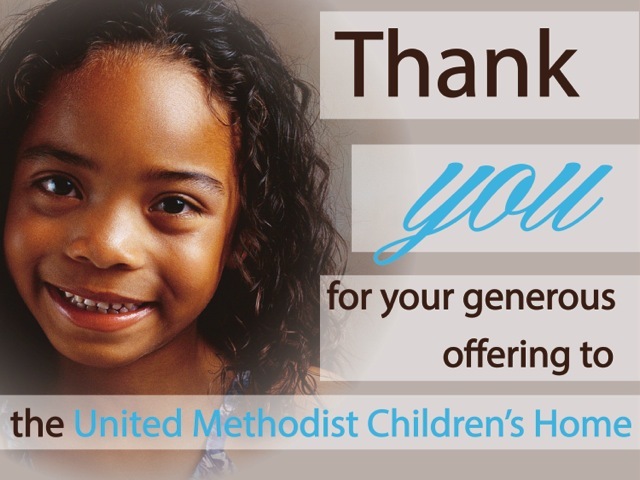 Every fall, we ask every church in the North Georgia Conference to take an offering on behalf of the United Methodist Children’s Home. We count on the generous giving from each of you to meet our expenses and provide our services, and we thank you for your support. Keep reading for more information and resources that we have available for pastors and church leaders. If you are a member of a United Methodist Church, please check with your pastor to encourage participation – our children thank you! This year, we are asking your church members to make the most generous offering you are able to make. Why? Because we have to turn away, on average, 15-20 children every single week due to lack of resources and lack of available foster families. Your generous donation allows us to recruit and train new foster parents; to feed, clothe, house, and educate the children and teens entrusted to our care; and to provide temporary housing for homeless families. We are loving and responsible stewards of your money and your confidence, and take that responsibility very seriously. Please join us as we share God’s Amazing Grace with the children and teens we serve by making your donation today. Thank you again for all you do to make this offering a significant source of support to the Children’s Home every year. Your gifts make this ministry to hurting children and families possible! Together we agents of God’s Amazing Grace!